CAT5 (also, "CAT 5" or "Category 5") is an Ethernet network cable standard defined by the Electronic Industries Association and Telecommunications Industry Association (commonly known as EIA/TIA). CAT5 cables use the fifth generation of twisted pair Ethernet technology and, since their inception in the 1990s became the most popular of all twisted pair cable types. Although CAT5 cable usually contains four pairs of copper wire, Fast Ethernet communications only use two pairs. The EIA/TIA published a newer Category 5 cable specification in 2001 called CAT5e (or CAT5 enhanced) designed to better support Gigabit Ethernet speeds (up to 1000 Mbps) by using all four wire pairs. CAT5e cables additionally preserve backward compatibility with Fast Ethernet equipment. While not technically rated to support Gigabit Ethernet, CAT5 cables are capable of supporting gigabit speeds at shorter distances. The wire pairs in CAT5 cables are not twisted as tightly as those constructed to CAT5e standards and thus have a higher risk of signal interference that increases with distance. Twisted pair cable like CAT5 comes in two main varieties, solid and stranded. Solid CAT5 cable supports longer length runs and works best in fixed wiring configurations like office buildings. Stranded CAT5 cable, on the other hand, is more pliable and better suited for shorter-distance, movable cabling such as on-the-fly patch cables. Although newer cable technologies like CAT6 and CAT7 have subsequently been developed, Category 5 Ethernet cable remains the popular choice for most wired local area networks because of the combination of affordability and high performance that Ethernet gear offers. 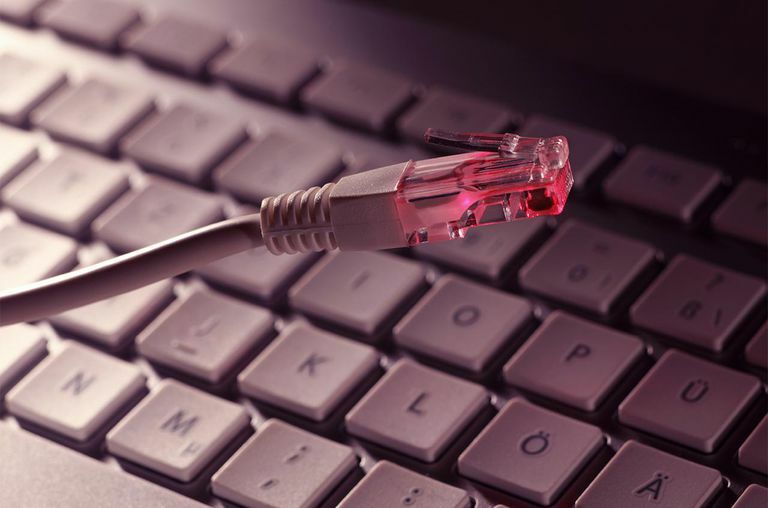 CAT5 Ethernet cables can be readily found in stores that sell electronic goods including online outlets. Pre-made cables come in standard lengths, such as 3, 5, 10 and 25 feet in the U.S. The average consumer will be more than happy to buy their CAT5 cables pre-made from a shopping outlet, but some enthusiast makers and IT technicians also want to know how to build their own. At a minimum, this skill allows a person to create cables of exactly the length they need. The process is not too difficult to follow with a good understanding of the color-coded wiring scheme and a crimping tool. Gigabit Ethernet already supports the speed that local networks need, making it difficult to justify upgrades to CAT6 and newer standards, especially when most of these investments will occur in larger corporate settings where rewiring jobs create significant cost and business disruption. With the emergence of wireless networking technologies, some industry investment has shifted from developing wired Ethernet over to wireless standards.